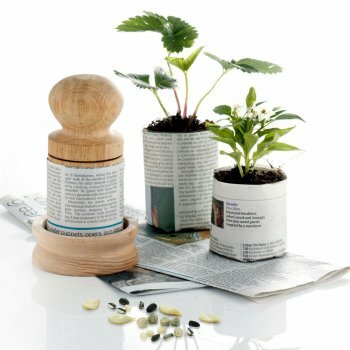 Our large wooden paper potter makes bio-degradable seed pots from waste paper. This larger potter makes pots that are 6cm x 7.5cm which are ideal for marrows, courgettes, sunflower seeds, larger seedlings and plug plants. Once your plants are big enough to go in the garden you just pop the whole pot into the soil and the paper will bio-degrade. The large paper potter is made from FSC oak and comes boxed with full instructions.